Ships tomorrow if you order in the next 19 hours 24 minutes. C3 Curcumin Complex Extra Strength from Results RNA provides advanced cellular curcumin for joint and antioxidant support. 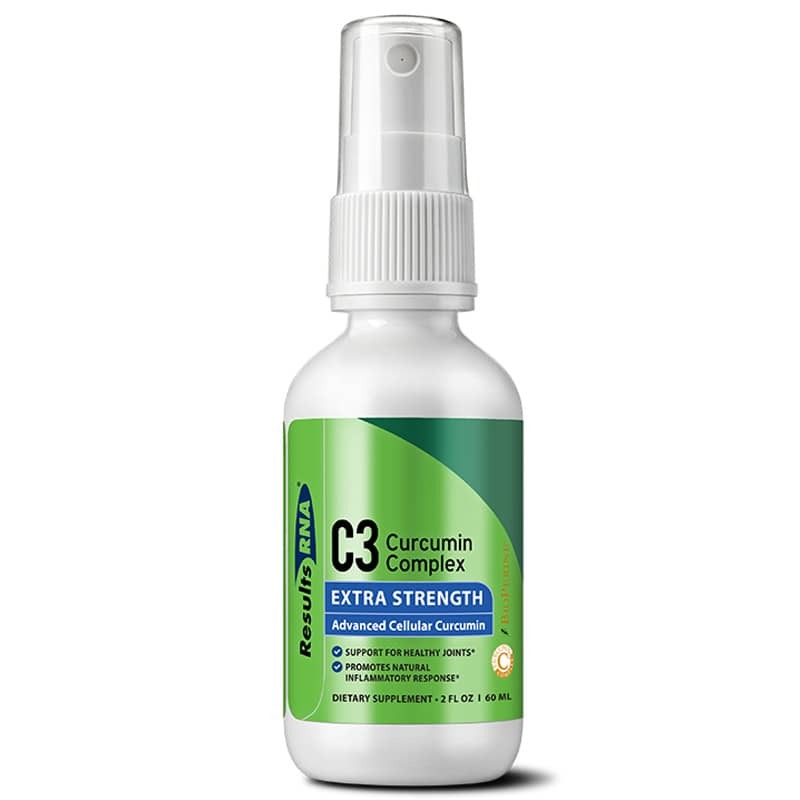 C3 Curcumin Complex Extra Strength is the first Advanced Cellular Intra-oral spray Turmeric extract standardized to 95% Curcuminoids, with BioPerine piperine black pepper extract standardized to contain 95% piperine, including Organic Peppermint Leaf (Mentha x piperita) extract and Natural Trace Minerals. With Advanced Cellular Technology, C3 Curcumin Complex Intra-oral spray is immediately absorbed, simple to take and has a pleasant taste with a hint of natural mint. Adults: Take twice daily to maintain optimal health.